Really smart people are always weird; it’s part of their charm. When Vampire Weekend were just starting out, much of their story revolved around being a group of Columbia-educated white kids with a weary, barely-post-academia take on Afropop. 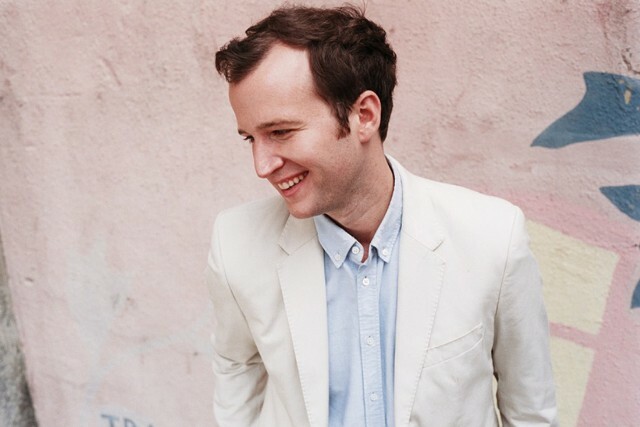 And now, while Ezra Koenig makes his mad genius known with eclectic features, Governors Ball antics, and a seemingly permanent state of bemusement, his dutifully humble bassist Chris Baio explores his extracurricular musical persona more subtly. It’s only on his solo debut The Names, through his uniquely skillful production, that we can truly see what BAIO’s brand of uncanny sounds like — quieter, more reflective, and flush with an unassumingly busy intellect. BAIO’s first full album — named for a Don DeLillo novel about a “language cult” — is the culmination of the 30-year-old’s producing hobby. His reflective electropop style meditates with similar sounds as !!! or Hot Chip, but he’s more intimate, and not quite as immediately danceable. The ominous, wonky opening notes of the Banksy-inspired lead track, “Brainwash yrr Face,” mark the start of an uneasily pleasant trance that sustains the length of the nine-track album. His lyrics, which manage to be both mysterious and relatable (“The secret I don’t keep / The blurry fitful sleep”), sound almost as though they’re being forcibly hummed through clenched teeth, blended with his wash of smooth, melancholy synths. On tracks like the standout single “Sister of Pearl,” BAIO injects vivid bleeps and string riffs that occupy an odd middle ground between acoustic and electronic — his emotion and imperfections linger in rhythmic artifice like a ghost in a time-stranded machine. It’s the harpsichord to Vampire Weekend’s piano — twangier and stranger, able to embark on sonic ventures that its more traditional cousin cannot, even if the uniqueness of sound is somewhat limiting. Modern Vampires of the City invokes an acoustic fog, like the mist that covers Manhattan on the album’s cover. The Names, with its electronic production and sole focus on BAIO himself, is more internal, more of an intellectual haze. “See me in a distant land / Recognize I’ve fallen mad,” he sings amid echoing, processed strings on the title track, sounding both pained and confident, like someone with too much going on upstairs. The Names’ commitment to its droning synths makes its tonally consistent songs bleed into one another, diminishing each’s individual impact, especially on the back half. Self-described “straight-up love songs” blend restlessly with gloomy, paranoid fears about military drone strikes and depression, and it’s hard to tell where one track really ends and another begins. The lengthy, silent pause in the middle of “I Was Born in a Marathon,” while dramatically effective, furthers this lingering sense of uncertainty. The swirling, free-flowing nature of the album isn’t a problem, however, aside from making the too-brief run time seem even quicker. Individual songs, themes, and even single notes jut out of his glassy soundscape — jarring the listener for just a moment before they’re subsumed back into the busy stream of his hopes and fears. The Names lets us into BAIO’s head, not just what he’s thinking, but how he’s thinking, forming the very ideas from within his busy mind. Musical synapses fire as the steady beats of his left brain dance with the right’s flighty, changing rhythms, not a battle but a play between analytics and imagination. BAIO’s always had strange and smarts to offer in his world-class quartet; The Names finally gives us a first-person view.